Please rate the app to support future updates. 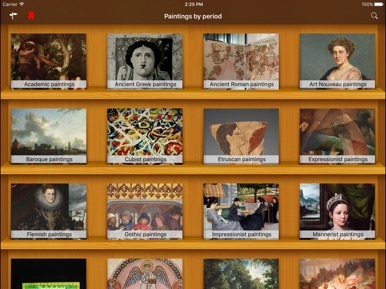 The Plenty Paintings app gives you access to tens of thousands of artworks from around the world and across thousands of years of human history — right on your iPad. Whether you’re interested in art history, taking art in high school, or even majoring in graphic design in college, you now have a valuable tool to help you discover art in any way imaginable.